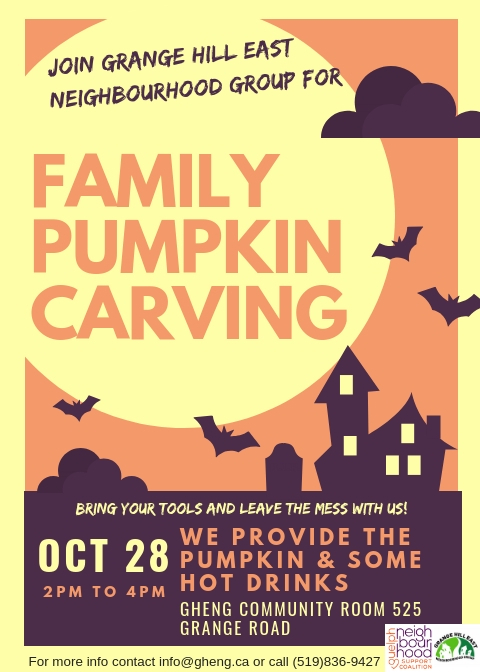 Join Grange Hill East Neighbourhood Group for Family Pumpkin Carving! Bring your tools and leave the mess with us 🙂 We will provide the pumpkins and some hot drinks. October 28th from 2pm to 4pm at the GHENG Community Room at 525 Grange Road.